Opinion: What If Christians Changed Their Approach To Abortion? The topic of abortion is likely one of the most controversial topics there is and will likely be so for a long time. Everyone has opinions and things they believe to be true and morally right. 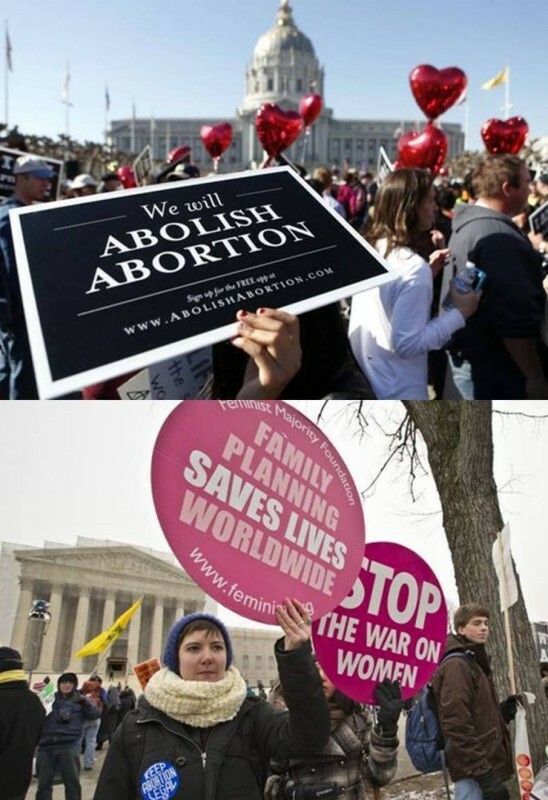 Abortion produces more anger and angst than possibly any other social or political issue. Both sides claim injustice. The topic of abortion has divided Americans for a long time, particularly since 1973 when the landmark Supreme Court case Roe v. Wade legalized abortion. It does not seem that this cultural war will slow down any time soon as recent fights for and against restrictions on abortion have intensified. As I write this, I know that my beliefs may not be the most popular, but I hope that a healthy and civil conversation about abortion can take place. We must stop the hateful accusations and name-calling; this will not get us anywhere with this delicate topic. I believe life holds an intrinsic value at every stage. But, what if Conservatives and Christians stopped making ignorant statements about women and abortion and stopped using hateful speech. What if, instead, they started to fight for life of humans beyond the womb, met women with love, grace, and the willingness to help. The list goes on of statements from Tea Party members and other conservative individuals who seem to have ill-informed ideas about abortion. It is clear that there is a frustrating disconnect from many of the conservative leaders and lawmakers about women, pregnancy, and abortion. However, as someone who is fighting for the life of the unborn baby or fetus, I must first address the belief of value of all life at any stage. Humans at every stage of development, no matter how small or vulnerable or out of sight, has an intrinsic value. To say that the unborn child is not a human makes implications about that life that is simply false. It implies its existence as an inanimate form of matter, that nothing is there at all, or that it is just an extension of your own body. There is a helpless life that must be valued, protected and given a chance at life. Christians – what if we met girls and women at clinics and said we wanted to adopt their unborn baby and offered to walk along side them in the long and difficult process of pregnancy? What if we spoke to women with love and compassion instead of hate and judgment? What if you held to your belief that all life is valuable, and fought for the life of and cared for the life of humans beyond the womb. It seems reckless to fight with such passion to stop abortion, but to not provide any resources or help for these new parents. Don’t back off of your convictions, but extend an arm of grace that has been given to you. To those so loudly opposing abortion, may you not be blinded by your ignorance that you speak and fight about things you do not really understand. May you not get so caught up in the fight against something that you forget the individuals who are actually dealing with unexpected pregnancies. Pregnancy and parenting is life-altering and costly, let’s not be blinded by judgment or hate. Instead, as a fellow Christian, act in a manner that extends love and grace to others.